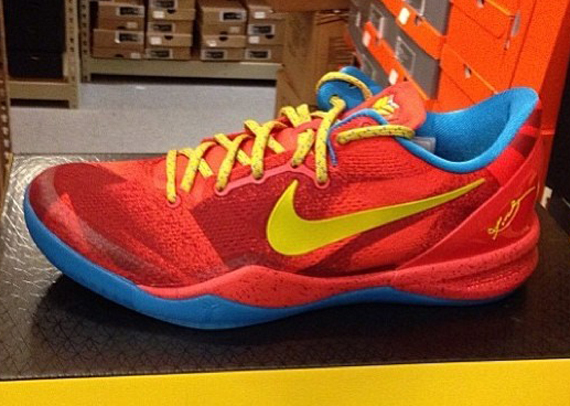 First look at the 2014 'Year of the Horse' Nike Kobe 8. Likely the final Kobe 8 to be released, Nike Basketball celebrates the Chinese Zodiac Year of the Horse with a red Engineered Mesh upper covered in a unique graphic. A vibrant yellow hue hits the Swoosh logos and laces, while blue finishes them off over the collar lining and outsole below. Stay tuned to Sole Collector for further details on the 'Year of the Horse' Nike Kobe 8.